Even if the nearest zoo is far away, you can pay tribute to the charming nature of the elephant by folding your own replica. 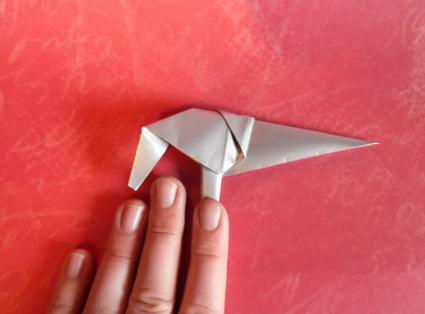 With a single sheet of paper and a few key folding techniques, you can create an adorable origami elephant to display on a bookshelf, add to a handmade card, or incorporate into a zoo-themed origami mobile. 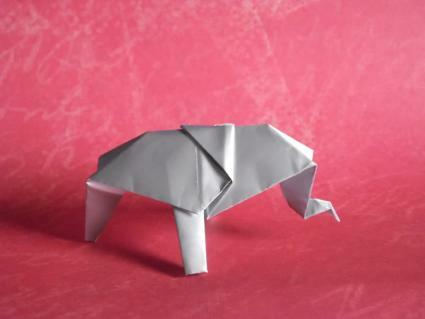 Your origami elephant should be made from one sheet of square origami paper. 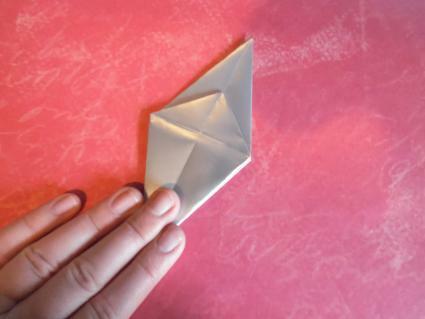 If you do not have origami paper readily available, you can cut a square of construction paper or copy paper to use. A square that is 8 inches is a good size to begin with. Gray paper makes the most realistic looking elephant, but you can also fold a more decorative version using patterned paper. 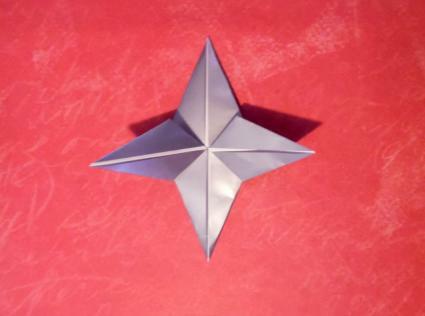 Although this is one of the easier models, it does require a good grasp of basic origami folding techniques. 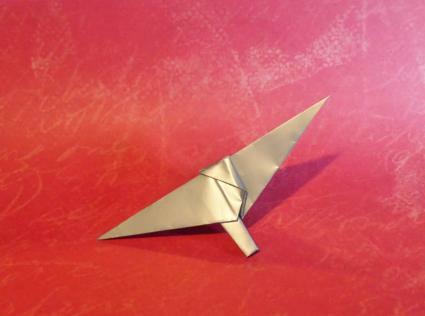 To make your origami elephant, you'll need to turn your square base into a bird base. 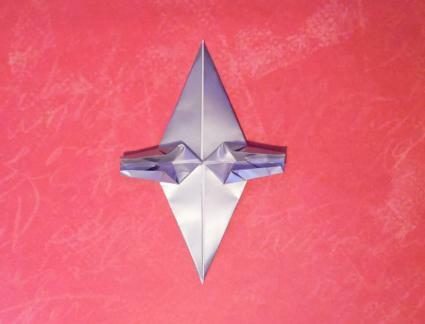 A bird base is a square base plus two petal folds. 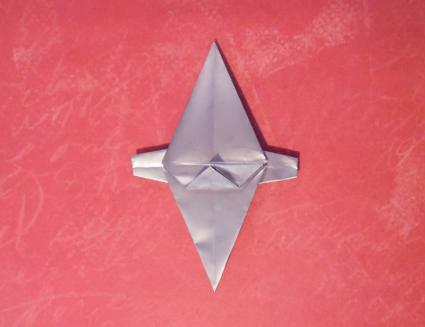 It is the same base form used to make the popular origami crane. To do this, fold the left and right sides of your square base in to meet the center vertical crease. Fold the top layer down so it is flush with the horizontal edge created by the previous two folds. Unfold your paper so you're back to the original square base position. Open up the flap and use the three guide creases you just made to press the paper flat. Flip the paper over and repeat this process to complete the bird base. Fold the top flap of your bird base down. Flip the paper over. Squash fold the left and right bottom flaps up to form a four point star shape. This begins the legs of your origami elephant. 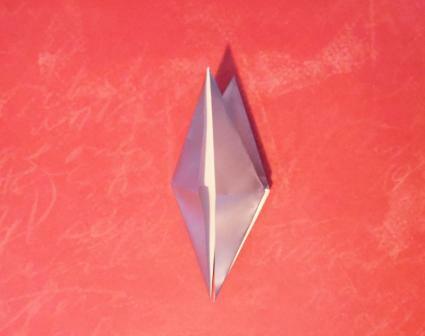 Fold the left and right points in halfway towards the vertical center. 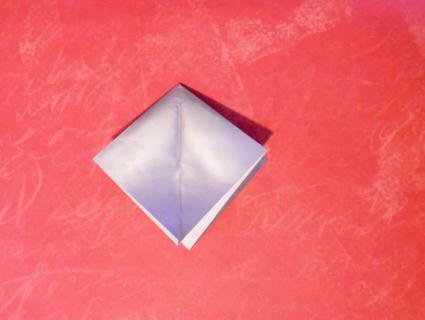 Fold the top and bottom of each side halfway towards its center horizontal crease. Turn the paper over. Fold the bottom flap up towards the top. This flap will become the elephant's ears. Turn the paper back over to the original position. Fold the left and right legs in half horizontally, then fold the entire model in half the long way. Form the head with an inside reverse fold, then fold the remainder up with one or two more inside reverse folds near the tip to finish the elephant's trunk. If you're ready for a more advanced project, this video tutorial from Bali Origami shows a very realistic looking origami model. The later steps in the project are quite detailed, so you may need to pause and replay the video a few times to understand what is being done. The origami elephant requires a bit of practice to fold accurately, so do not be discouraged if your first few attempts are less than perfect. When you master this model, you'll be well on your way to being able to fold an entire zoo full of origami animals.